Welcome, I am Mark Trevenna, an Investment Executive and Certified Estate Planner with The Wealth Strategies Group, located in Littleton, Colorado. I have been helping my clients create and pursue their financial futures since 1989. Whether your goal is college savings, preparing for retirement or estate planning, I understand that individuals face unique challenges as they plan for these events. My personalized service focuses on your needs, wants, objectives and financial goals. I am supported by a skilled team that can help address your needs of today and for many years to come. I look forward to working with you and building a relationship as your trusted advisor through all stages of your life. My wife, Sheri, and I moved to Colorado in 1989 and have always lived in the Littleton area. 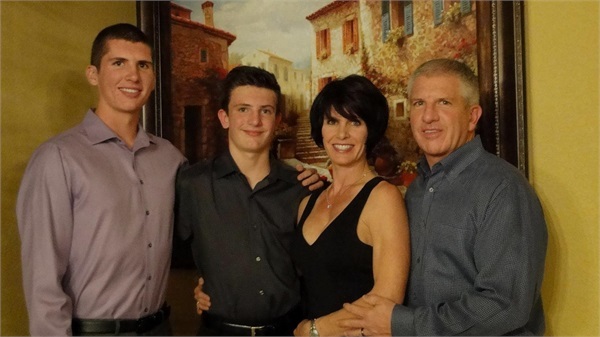 Sheri took an early retirement from her career as a municipal bond trader to stay at home and raise our two boys, Eric and Evan, which as anyone with kids knows, is a very active and rewarding career. Eric is currently attending Embry-Riddle in Prescott, Arizona. He is studying mechanical engineering and was recruited to play goalie on their soccer team. Evan is currently attending D'Evelyn High School where he is focusing on academics, soccer and his teen youth group. When time and schedules permit we enjoy golfing, skiing and bike riding as a family and there's always a soccer game to watch. LPL Financial Research is your trusted partner, providing due diligence and investment management advice via daily, weekly, monthly and quarterly reports, calls and publications.